In 1963, at Deal Air Force base in northern California, a group of 5 servicemen got together and formed a singing group called the Emotions. They performed here and there on the base in-between fulfilling their duties as members of the armed forces. One day a Lieutenant Colonel by the name of Arvey Andrews had booked a band to play at an officer's function, but found out at the last minute the band could not make it. Having heard about this group calling itself the Emotions, he called them to perform for the officers that night. Impressed with the group and being a lover of music, yet without any experience or connections in the music industry, Arvey pooled the resources of a few of his officer friends and took the Emotions under his wing. They performed on and off the base under Arvey's management and supervision. At this point in their career, the group consisted of James Gregory (Greg), Daniel Saunders (Danny), Melvin Williams (Mel), McHenry Otis (Mike), and Robert Coleman (Bob). Mike sang lead tenor on most songs, Greg was second tenor, Bob was baritone, Mel was bass or baritone depending on the song, and Danny performed a variety of parts where required. James Gregory told me that Danny is a very talented musician, having taught himself to play piano and bass guitar. Greg also played piano, and he and Danny composed most of the songs themselves. He recalled for me that for years they were inseparable, always playing music and writing songs together. The only industry connection they had at the time was Danny's brother, Ted, who was a member of Don Julian's Larks. One of the Larks' Money sides, in fact, is not the Larks at all, but this very same group who had cut some tracks in an LA studio, with Arthur Wright doing the arrangements. The group was relatively successful under Arvey's enthusiastic management, singing in many local Bay Area clubs, and Arvey decided to take them into the studio, where they recorded their first record "Do this for me"/"Love of a girl", released on Arvey's own Vardan label. Shortly after its release, however, a phone call was received from the lawyer of an east coast group of the same name and rather than fight it out in court, they decided to change their name to...the Lovers. A new b-side was recorded, "Someone", and "Do this for me" was re-released on another Bay Area label called Gate, under the group's new name. The record was played extensively in San Francisco in 1964 and was successful enough to be picked up by Mercury records and released nationally on the Philips imprint, where it became an R&B hit. At this time, all the members were still in the Air Force and it became difficult for all the memebers to concentrate on both careers at the same time. If they could have done more touring to promote the Philips release, they may have been more successful. In 1965 Mike was transferred to Guam and he missed out on the next studio session, but the group had no intention calling it quits, and they went into the studio again and recorded "Without a doubt", small quantities of which were pressed up the Frantic label. The record was never promoted however and sank without a trace, most likely due to everyone's commitment to the armed forces at the time. James Gregory told me he sang the lead part on "Without a Doubt". One by one, however, each member fulfilled his obligation to Uncle Sam, and by 1967 all of them were free to pursue their careers as members of the group. Once they were all out of the Air Force and Mike had rejoined them, they felt they had outgrown the name "Lovers" and Arvey changed it something that was a little more "happening". Mike said to me, "We just grew up, that's why we changed the name. We all thought 'Lovers' was a kid's name for a group. I think Arvey decided we should be called the Pacesetters." Arvey secured them a deal with Liberty records and they went to Los Angeles to sign the papers and meet with their new producer. When asked about a possible connection with the Detroit/Chicago based group(s), also called the Pacesetters, who recorded for Correc-tone and Mica, Mike said he had never heard of them. At the signing, they apparently did not appreciate the fact that the producer who had originally been promised to them was going to be too busy with the O'Jays, and they apparently offended their new producer, Jimmy Holiday, with their remarks. Jimmy Holiday decided he wasn't going to spend much time with them if they were going to have such an attitude and after recording "I'm gonna make it" with them and releasing it on Liberty's Minit subsidiary, the company did not promote it. Mike recalled for me that Cecil Womack played on the Liberty/Minit sessions. Greg told me that Liberty was not able to promote more than one record at a time, and since Johnny Rivers was big then, the company eventually let the Pacesetters go without many sales to show for their work. Undaunted by this, the group kept themselves going, albeit with some changes in their line-up. 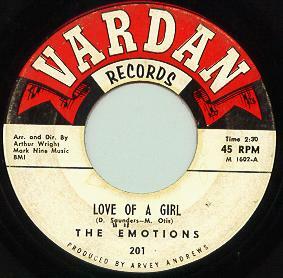 At one time, one of their members was a guy named Darrell Kennedy, who later joined the Natural Four, around the time the Pacesetters released "Don't love hurt", produced by Willie Hoskins and released on Boola Boola, a label better known to soul fans as the Natural Four's first label. They played all over northern California in night clubs, singing a whole range of musical styles, from pop standards to jazz and soul. They played the Philmore and were the local group that opened the show for a Motown revue. The competed against groups like the Ballards and the Whispers in talent competitions and shared the bill with the likes of Freddie Hughes and other local acts. In the early 1970's they found themselves at Fantasy's studios in San Francisco,under the guidance of Harvey Fuqua, but despite recording an entire album's worth of material, only 1 single was released. Fantasy had recently signed Sylvester and was having some success with him and Harvey decided to pursue some other projects. At this point, the Pacesetters just sort of fell apart and due to family commitments, children to support, etc., each pursued their own non music careers. Mike became a telecommunications specialist and worked for Pacific Bell, Greg ran a computer data center for the Air Force. Only Danny stayed in the music industry and wrote "Whopper Bopper Show Stopper" for Tata Vega at Motown, although Greg said to me that Danny is now noticeably down on his luck and sometimes is homeless, although his daughter tries to keep in touch with him. Interestingly, Danny's daughter works with Whoopie Goldberg, and the last time Greg spoke with Danny, he was calling him from the Beverly Hills Hilton, paid for as a Christmas present from Whoopie to Danny's daughter. The whereabouts of Arvey Andrews is unknown. Being a career military officer, he opted to stay in the service after terminating his relationship with the group. He apparently retired with a full military pension in the mid 70's, and although some members of the group have seen him here and there, none of them know where he is now. When I originally contacted members of the Emotions, Mike was concentrating on his gospel group, Consonance. Also in the group, singing the low notes, is Mike's good friend Melvin Williams from the Pacesetters, 2 guys named Phil Daniels and McKinley Willams (Mac) who were apparently members of other local Bay Area groups in the 60's although Mike could not remember what they were called, and one Paul Foster Jr, son of Paul Foster Sr, one-time member of the Soul Stirrers with Sam Cooke. This gospel group had just finished recording a CD and they were performing around the Bay Area. Sadly, Mike Otis passed away in 2006.